Though Ireland cannot boast of the splendid architectural remains of mediaeval antiquity which are so plentifully scattered throughout other countries, still the number of her ecclesiastical buildings, rude though they be, point to a more widespread system of Christianity. The Cell of the Monk remains as well as the abbey of the cloistered friar. 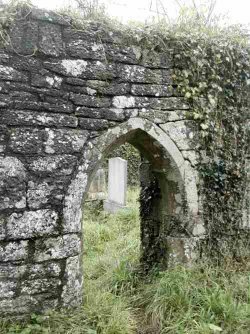 At the present day the number of remains of this class is indeed large; for, in the Diocese of Cork alone, there are to be found about forty such ruined Churches.